Mindfulness-based interventions are reported as being efficacious treatments for a variety of psychological and somatic conditions. However, concerns have arisen relating to how mindfulness is operationalized in mindfulness-based interventions and whether its ‘spiritual essence’ and full potential treatment efficacy have remained intact. 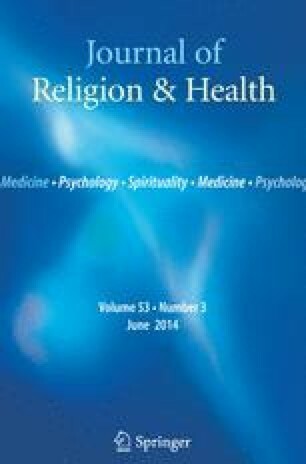 This qualitative study used interpretative phenomenological analysis to examine participant experiences regarding the acceptability and effectiveness of a newly designed secularized intervention called meditation awareness training (MAT) that follows a more traditional Buddhist approach to meditation. Participants (with issues of stress and low mood) reported experiencing improvements in psychological well-being due to receiving MAT. The wider implications are discussed. We would like to thank Dr Eva Sundin for her feedback on earlier versions of this manuscript. Centre for Mindfulness in Medicine, Health Care and Society (CFM) (University of Massachusetts Medical School). (2009). Stress reduction program. Retrieved February 24, 2012, from http://www.umassmed.edu/cfm/home/index.aspx.